U.S. financial reporting will undergo an unprecedented level of change within the next several years. U.S. companies face a convergence between U.S. GAAP and IFRS, affecting several major accounting standards—most notably in the areas of leasing, revenue recognition, and financial instruments. It is imperative that U.S. companies understand these major changes and their business and operational implications. 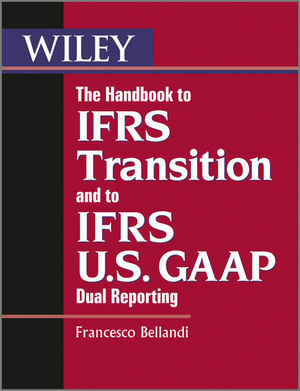 The IFRS U.S. GAAP Dual Reporting Handbook to First-Time Adoption offers a comprehensive treatment of both the principles and techniques of dual reporting under IFRS/U.S. GAAP, while exploring the practical implications for accounting professionals of reporting under both sets of standards. In addition to covering the full range of critical issues surrounding adopting IFRS, this indispensable handbook is a rich resource of dual reporting tools, including financial statement formats, charts of accounts, accounting check-lists, reconciliation schedules, and operating manuals.